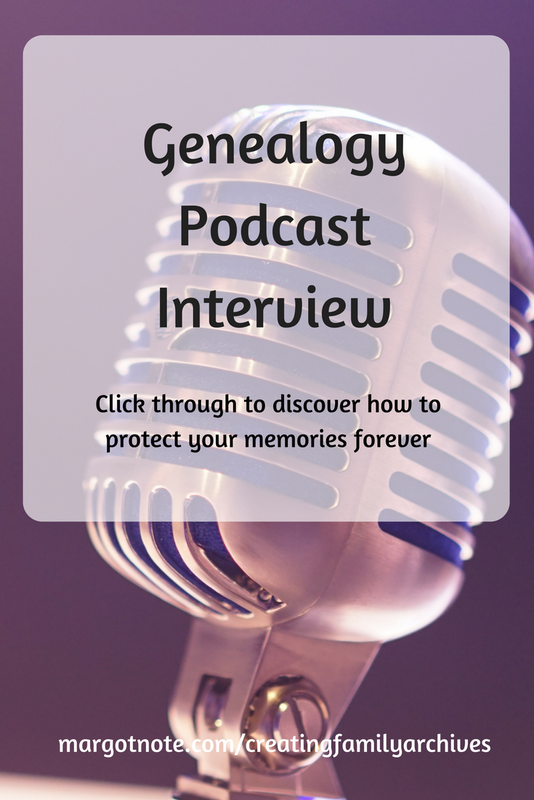 I was recently interviewed on the Genealogy Happy Hour podcast about my book, Creating Family Archives: How to Preserve Your Papers and Photographs. Considering that I just got back from a red eye flight from Portland, Oregon for the annual conference of the Society of American Archivists, I think I did pretty good! Genealogy Happy Hour is "a podcast that helps newbie genealogists get started on the right track." Amy Crabill Lay is the owner of Heirs & Ancestors, LLC, a genealogical research company, and Penny Bonawitz, a genealogist. What I enjoy most about the podcast is that it sounds like two friends catching up on their hobby over a couple of glasses of wine; I love the casual, conversational tone. On Episode 25, Amy and Penny provide tips on archiving your family history, then jump into an interview with me. (10:45): "Why did you write this book?" 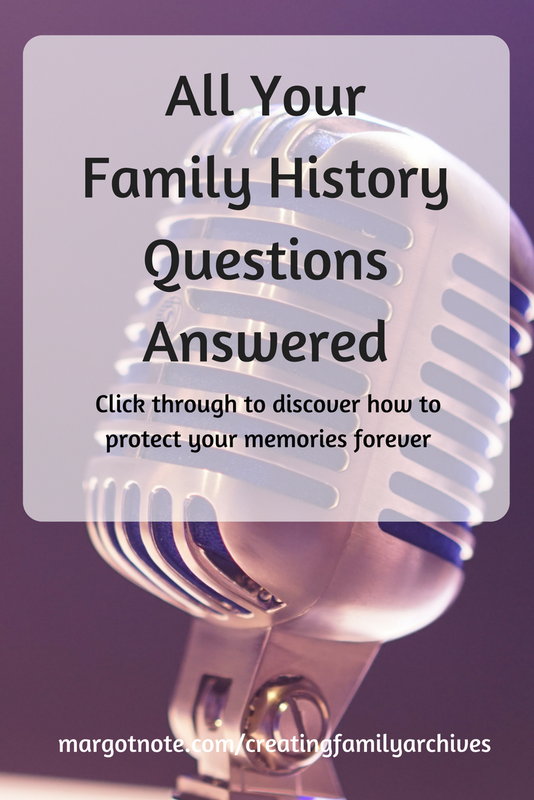 (13:07): "What type of supplies should a family historian use to archive and organize their family history?" (15:13): I provide a tip on a big box store that has a surprising amount of archival quality supplies, so you can see what acid- and lignin-free boxes and enclosures look like before you purchase them. (16:24): "What are the pros and cons of photo albums?" (19:33): "You talk about keeping collections in their original order... so you can learn how someone else has organized materials before you." (22:35): "How do you determine which items should be kept and which items should be tossed?" (26:53): "Do you have a system? Do you save just physical files or digital files or a combination of both?" What Does "Archival Quality" Mean?